The calendar of ages has been destroyed, you must travel in time to save the world! The calender of ages, that kept the world running, has been destroyed. Embark on an exciting journey across 8 countries to collect mighty artifacts. 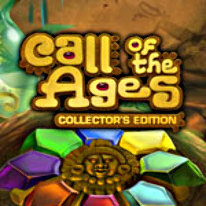 Complete 150 unique match-3 levels as you witness the key events of the world history and save the world in Call of Ages. -Collector’s Edition extras: 60 bonus levels, beautiful wallpapers and original soundtrack!